Simple Buy & Hold, Strategic Fixed Risk Level Allocation, Strategic Flexible Risk Level Allocation, Dynamic Tactical Risk Level Allocation. 4.5 to 10.5 years time to recover to breakeven associated with 6 example Bears. 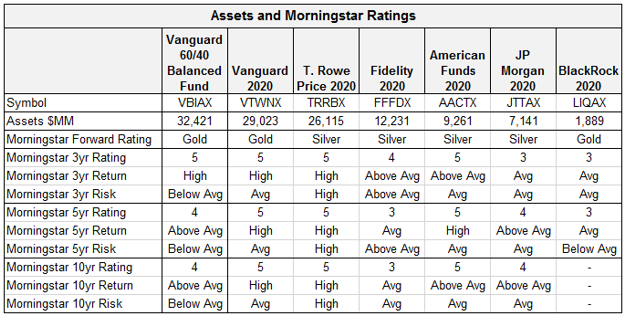 Our view of suitable allocation within Flexible Strategy. Each of these deserves attention in portfolio construction. In this letter, we examine Maximum Drawdown Risk, which is probably the greatest risk portfolios face over the next couple of years. 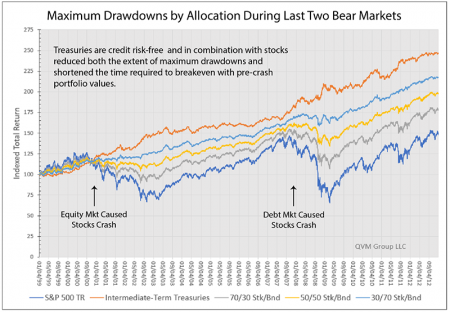 Maximum Drawdowns occur infrequently but massively, and it typically takes years to breakeven with the pre-crash portfolio value. In the battle of philosophies between Buy & Hold and Tactical Trend Following, the long recovery time after a Maximum Drawdown is the trend follower’s main argument. We are in the Tactical Trend Following camp for long-term trend reversals. We prefer to take cover in falling markets, by tilting away from equities toward bonds or cash. Since 1936, US large-cap Bear markets have taken mostly 4 to 6 years from the pre-crash peak to the bottom and back to a breakeven level. Total return recovery from the 2000 Bear took 6.15 years, and from the 2007 Bear it took 4.5 years. Of course, a portfolio diversified with debt assets, experienced a less extensive drawdown and a total return recovery over a shorter period. Many of us, don’t have the luxury of waiting 4 to 6 years to breakeven with pre-crash levels, particularly if we are making regular withdrawals from our portfolios to support lifestyle. A young person with only a small portion of future accumulations achieved, engaging in regular periodic investments, can not only ignore most Bear markets, but actually enjoy buying more shares each month at a lower price during a Bear – maybe even increasing the rate of investment during a Bear. However, for someone, regardless of age, who has completed the process of adding new money to the portfolio, and is relying on the portfolio for sustenance, the Bear presents a threat not an opportunity. Of course, if that person has such a large asset base that withdrawals are less than the investment income (interest and dividends), for that person the Bear is more an annoyance than a threat and may present some attractive asset substitution opportunities. But for most of you, and for me, the Bear is more of a threat than an opportunity if we lean into it and take it in the face full force. Those are the reasons that generic advice to someone starting out is to put all assets in stocks, to maximize regular monthly savings, and damn the torpedoes in a Bear market. 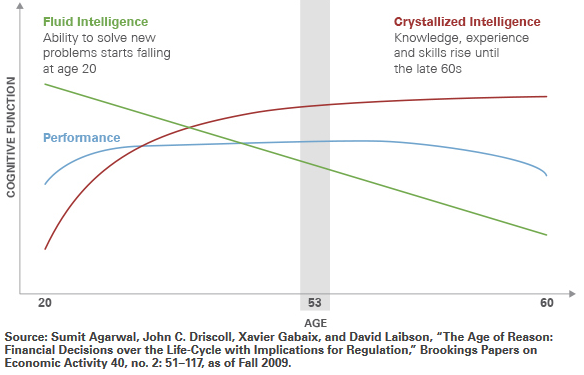 And, those are the reasons as we achieve more and more of our ultimate accumulation (Financial Capital), and the present value of our future earnings from work (Human Capital) declines, and the number of years we have before beginning to withdraw assets decreases (Time Horizon), that we need to diversify our risk (specifically the correlation of return of the assets we own), to mitigate the damage that a stocks Bear market can have on the ability of our portfolio to support our lifestyle now or in the future (to avoid the Risk of Ruin – outliving our assets – to protect Portfolio Longevity). 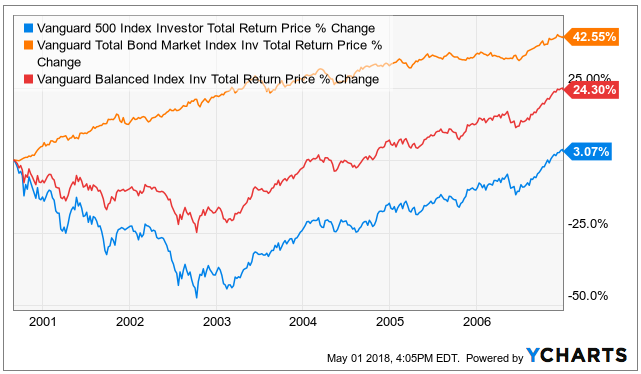 From the early 1990’s (close to 30 years) the S&P 500 generated a cumulative return over 950%, while the Aggregate Bond market generated a cumulative return of only 265% — and a balanced portfolio of 60% S&P 500 and 40% Aggregate bonds generated a cumulative total return of 630%. Who would want 265% when they could have 950%? My grandchildren certainly should look to the 950%. 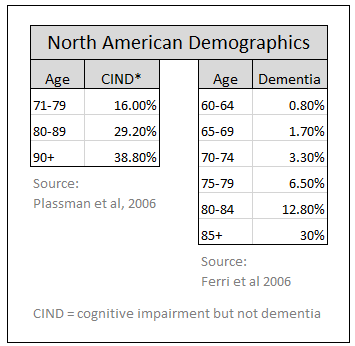 But most of you can’t safely deal with Maximum Drawdowns that are likely over 30 years. The 2000 Bear and the 2007 Bear were back-to-back in a sense, because the October 2007 pre-crash peak was only one year after the S&P 500 reached total return breakeven in October 2006 after the 2000 crash. 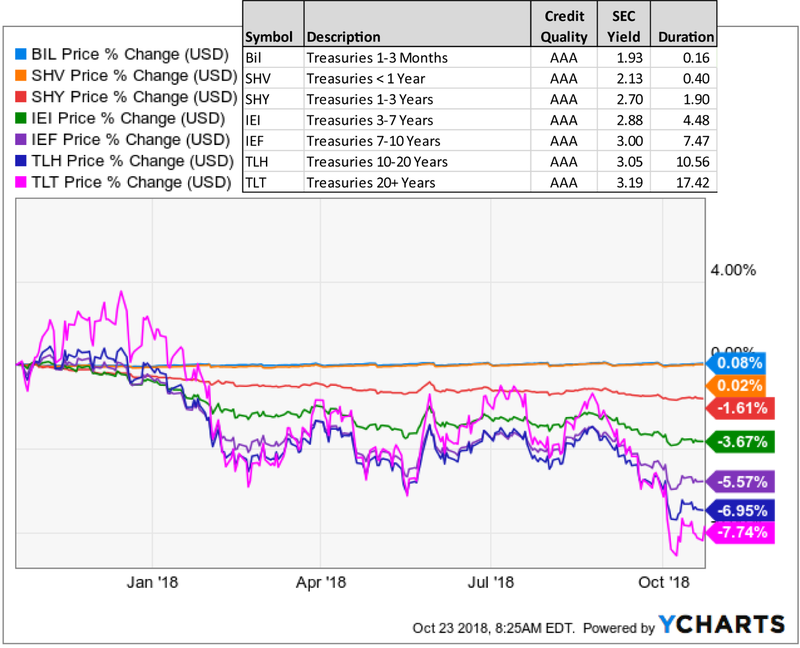 Treasuries, unlike corporate bonds have zero credit risk (but like corporate bonds have interest rate risk). In times of panic, no form of debt beats a Treasury, although holding them between Bears is uninspiring. Gold may be helpful in a panic, but its performance is less certain. In times of significantly rising interest rates using ultra-short investment grade variable rate corporate debt, ultra-short Treasuries or money market funds may be best as portfolio risk moderators. How Do Different Approaches Deal with Maximum Drawdown? Dynamic Tactical Risk Level Allocation. Simple Buy & Hold means you own a fixed basket of securities, hopefully cognizant of the risk profile, with the intention of doing nothing thereafter for a long-time. You do not rebalance. On the positive side, this minimizes taxes, transactions costs, and time commitment. 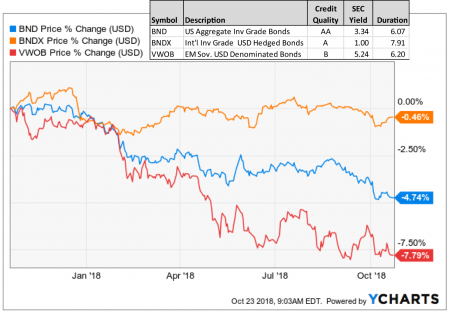 On the negative side, this basically ensures that the risk profile of the portfolio will move up and down by significant amounts over time – becoming much riskier as stocks outperform debt, and much less risky after stocks crash (and significant portfolio value has gone away). 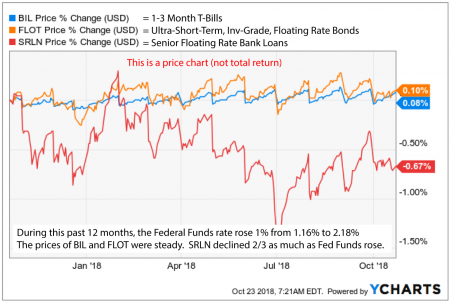 This method is probably talked about favorably more than it is actually practiced – with many proponents during long Bull markets, but fewer who do not bail out during a crash. For someone with many investing years ahead, with low assets relative to future additions to savings, making regular periodic investments, Buy & Hold is probably fine. However, for someone without many investing years ahead, with high assets relative to future additions to savings, and certainly those in the withdrawal stage of their investing lives; Buy & Hold of stocks is probably not a good approach, because of it’s exposure to Maximum Drawdown which could take several years to recover. For those in the withdrawal stage taking fixed amounts of money from a declining asset value accelerates the rate of asset depletion, which could be ruinous (your money dies before you do). 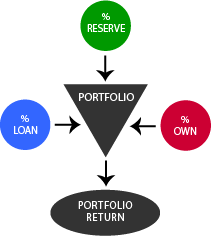 Strategic Fixed Risk Level Allocation means you own a selection of assets in a fixed ratio to each other (example: 50% stocks and 50% bonds) with an expected level of risk and return, with the intention to rebalance the mix from time-to-time, or when the ratio of assets held shifts materially, to restore the portfolio to the original allocation to maintain approximately constant risk and return expectations. The assets you choose have diverse return correlations (they don’t all go up or down at the same time in response to the same issues or to the same degree). On the positive side, this keeps you in the same approximate risk/return exposure that you chose as suitable for you when the market value of your various assets fluctuates up and down. In effect, you sell high and buy low, which is a good thing, because rebalancing back to a fixed allocation level forces a trimming of outperforming assets and augmentation of underperforming assets (typically means trimming the more volatile assets and augmentation of the less volatile assets). On the negative side, except in tax-free or tax-deferred accounts, trimming outperformers creates a tax cost. There are transaction costs to rebalancing, but those are very low these days and if the size of the taxable gain in the transaction is, let’s say, over $500, then the transaction is probably worth the transaction cost, but not necessarily the tax cost. There is a modest time commitment required to pay attention to the changes in allocation percentages. The lowest time commitment is to rebalance based on the calendar (such as quarterly or yearly). The highest time commitment is to rebalance based on allocations getting out of line with the plan, because that requires weekly or monthly monitoring. Overall, its not much of a time commitment either way, but more than Buy & Hold. 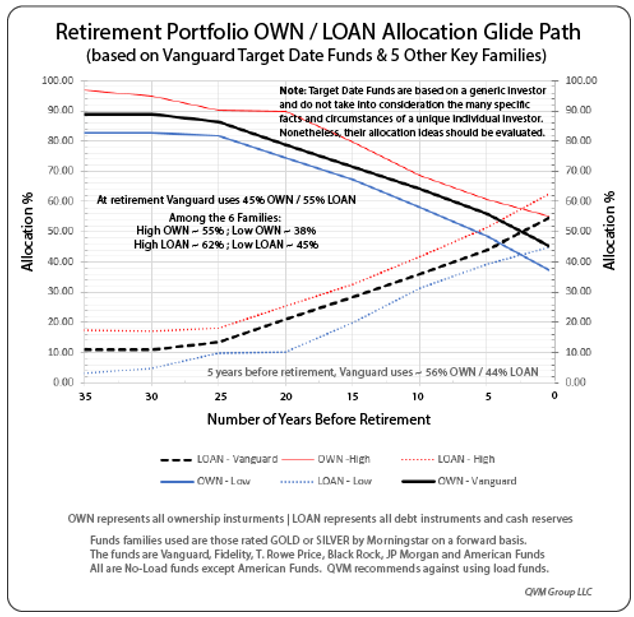 The allocation that is suitable for you changes as you approach retirement – Allocation Glidepath. Strategic Flexible Risk Allocation, like the Fixed Risk approach to allocation, owns a selection of asset categories chosen for correlation diversification and held in a ratio to each other expected to produce the desired risk and return. 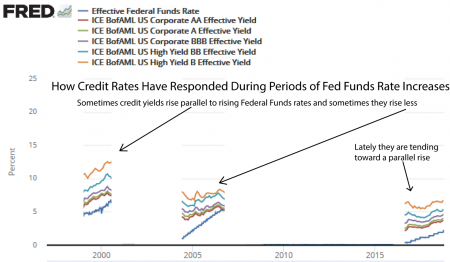 And, like the Fixed Risk approach, you rebalance. However, instead of an unchanging allocation, you set Target allocation levels for each asset category, but also Minimum and Maximum allocation levels for each category, allowing you to modulate your risk and return expectations based on objective or subjective criteria as markets unfold or are expected to unfold (example: stocks Target 50%, Minimum 45%, Maximum 55%; and bonds Target 50%, Minimum 45%, Maximum 55%). On the positive side, you are set up to use rebalancing to keep your expected risk and return at the level you determined was suitable for you, while also allowing you to modulate your allocation within pre-set limits based on changes in your expectations of return or volatility for some or all of your asset categories to maintain your risk exposure; or to modulate your risk exposure. Frankly, it satisfies the common human drive to act, while preventing misjudgment or emotional behavior from possibly creating a big portfolio performance problem. On the negative side, it has the same negatives as the Fixed Risk approach and introduces the possibility that the reasoning behind deviation from the Targets is faulty. 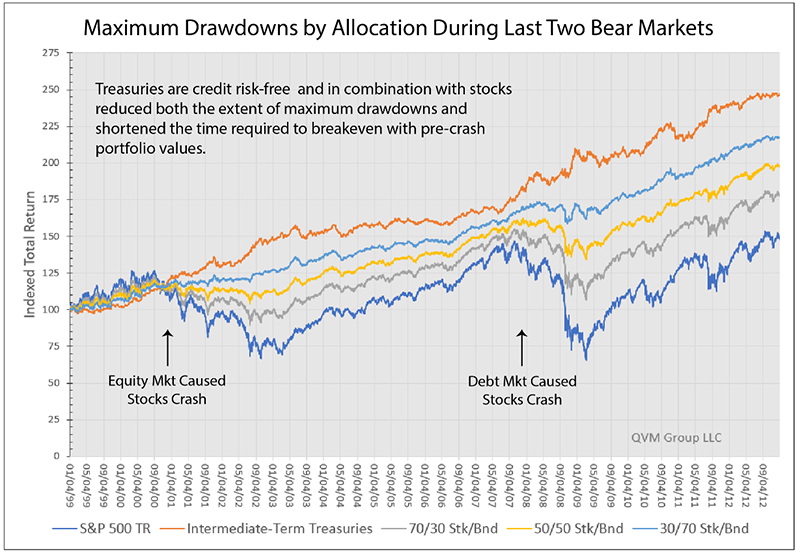 Use of the Minimum and Maximum allocations may produce a lower total return, or higher volatility, or larger Maximum Drawdown than the Fixed Approach. As they say, “it depends”. I find this approach is more appealing to more people than the Fixed Approach. Most people who are not Buy & Hold advocates prefer the idea of some continuing active choices about allocation. 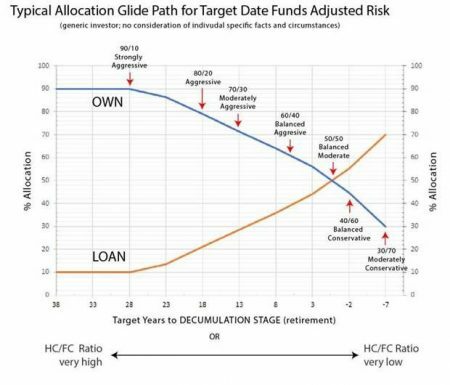 Dynamic Tactical Risk Level Allocation is essentially the opposite of Buy & Hold. It means hold assets while they are doing well and don’t hold them when they are not doing well; and when risk assets are not doing well, hold the money that would otherwise go to them in safe liquid assets such as T-Bills, money market funds or ultra-short-term bond funds. In practice this could be a full Long / Flat approach (example: 100% S&P 500 and 0% T-Bills, or 0% S&P 500 and 100% T-Bills). Alternatively, it could involve a stepwise movement between 100% and 0% between the asset categories. The approach could be based on long-term trends (probably the better choice) or short-term trends (probably the less attractive choice) to day-trading (probably the worst choice, unless you are a very special person with very special skills with nerves of steel). OPINION: If it is your intention to use a Tactical approach, it is probably best in most cases to use it only as a sleeve of your portfolio in combination with Strategic Fixed Risk Level Allocation, where the Strategic portion of your portfolio is an anchor to windward, just in case the Dynamic Tactical Allocations works out less well than planned. 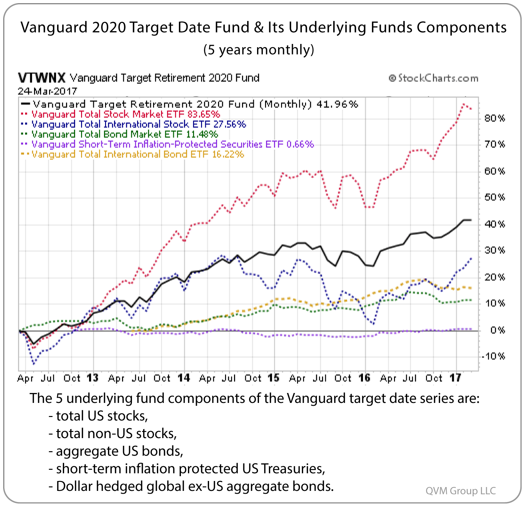 I do believe the evidence shows that a Dynamic Tactical approach (probably more commonly called Trend Following) will underperform the Strategic approach during Bull markets (which could be many years), and if done well, outperform in Bear markets, and thereby outperform in the long-term. It is not surprising that during the current Correction, we have received numerous calls about whether and when the Bull will end, and whether and how much we should be practicing intermediate-term Trend Following versus long-term Strategic Allocation. First, if you set out with Strategic Allocation as the plan in the beginning of this Bull market, and now are prepared to cut and run, you never had a Strategic plan in the first place. What you had was a Tactical Allocation plan in hibernation. 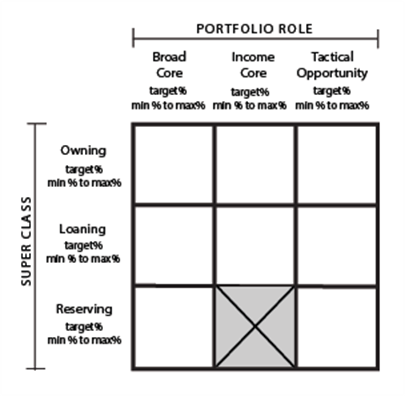 A combination of a Strategic Flexible Allocation with a Tactical Allocation sleeve will suit more investors than not. I believe getting out of the way of a train wreck — as long as an investor is properly prepared to get back on the rails when the wreck is cleared off the tracks. By this I do not mean day-trading or bouncing in and out of risk assets based on headlines, or forecasts, or exiting risk assets within the noise level of volatility (which means at least not within Corrections). Going full Tactical may sound interesting now, but I doubt that most investors would have a taste for it as a continuing practice. For example, even the best long-term trend indicators generate some false positives. That means by following a tactical system, there will be times that it is wrong. You get “whipsawed”, meaning you exit, the indicator proves wrong and reverses, then you get back in. You may have capital gains taxes because of the exit, and you may get back in at a higher price than your exit. That upsets people, but that is part of tactical methods no matter how good they are. 4.5 years to price breakeven in 4/2012. I am not willing for my personal portfolio to endure Bears like that, then wait years to breakevenI do believe there is no utility (for other than the early stage investors making regular periodic investments, who may benefit by a stock market crash) to intentionally take the full force of the storm. Stock market declines of 40% and 50% occur from time-to-time. Once a Bear has clearly arrived for a risk asset, exiting that asset after the Bear has quantitatively revealed itself, is reasonable in my opinion; then re-entering that asset is appropriate when the Bear is dead, and the Bull quantitatively reveals itself. That is easier said than done, but it is doable to various levels of imperfection. However, an imperfect avoidance of a 50% decline, and an imperfect re-entry, can be better than the full ride down, with a 4 to 6 year or longer wait to breakeven with the pre-Bear portfolio value. Keep in mind that major allocation shifts based on expectation of trend reversals is more likely to disappoint than major allocation shifts in response to demonstrated trend reversals. Expected trend reversal approaches have a much lower batting average than trend reversal recognition approaches. 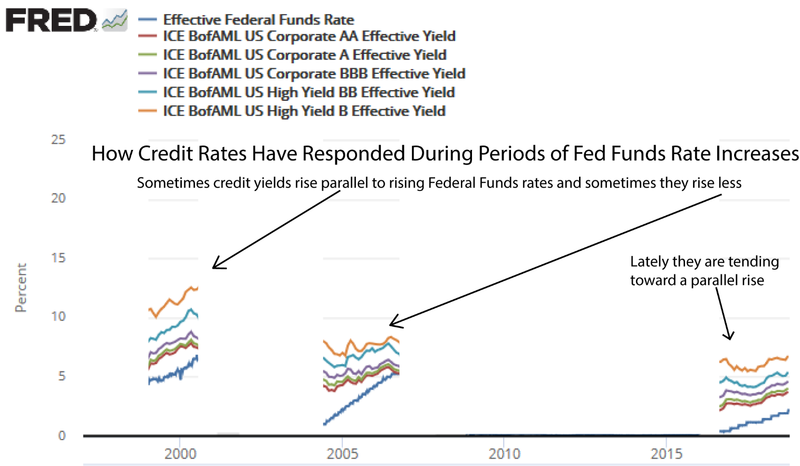 Trends tend to persist, so following a trend whether up or down tends to work. Trend reversals become clear when they break out of the volatility noise area. Trend reversal forecasts tend to be flawed (it is much easier to predict what will happen than when it will happen). Consider fundamentals but rely on trend measurements. 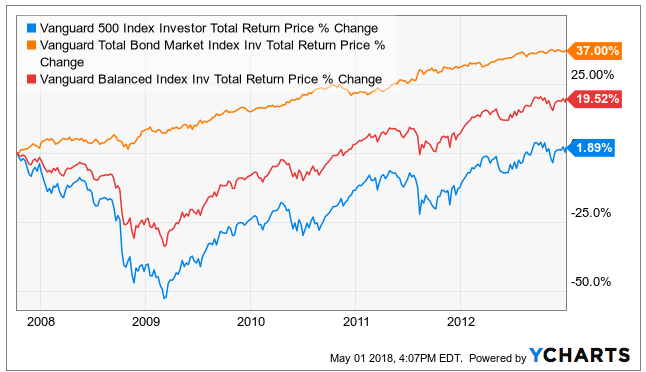 The alternative to a permanent allocation between equities and debt instruments, is a flexible one that shifts toward debt when equity indexes turn down, and that shifts toward equity when equity indexes turn up. That shifting can be quite moderate, such as moving between a 65% and 75% equity allocation around a target level of 70% in a Strategic Flexible Risk Allocation program, to a more aggressive approach such as 60% to 80% around a 70% target – and all the way to long/flat investors who go from full target equities to 100% Treasury Bills, then back again, based on equity trend conditions. You need to look deep inside to decide where you belong in the spectrum from Buy & Hold, to Fixed to Flexible Strategic Allocation to partial to full Dynamic Tactical Trend following. For most, some combination of the approaches (effectively in sleeves of the portfolio will be most suitable). 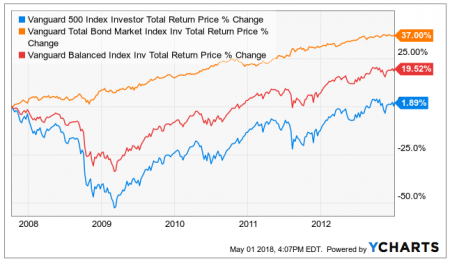 Think about expected returns, return variability, and the likely magnitude of portfolio value change for the allocation you choose during a Correction and a Bear (Maximum Drawdown). This is our current intermediate-trend view of major equity indexes, using the QVM Trend Indicator. A 19 minute video explains this indicator – its rationale, method and results in backtest to 1900. While stocks are in Correction, the Bull trend has not reversed, but enough cautionary signs exist that a more conservative tilt within equities, or shifting of equity allocation toward the lower end of your allocation policy range may be prudent. This is a general response to questions many are asking. Lot’s to talk about and think about. The answer to the questions depends on many individually specific facts. If this responds to a burning question, this commentary may be a good beginning for a personalized discussion. If you are comfortable with the way you are situated now, including the event of a Bear market sometime within the 2018 – 2020 time frame, that’s great. However, let’s go over your allocation preferences one more time just to make sure as much as we can that what you have is what you need, want and can handle both financially and psychologically when the poop hits the fan. If you are going to be strategic, recheck your Target Allocations, rebalance if needed, and stay calm. If you are going to be tactical, do it the better way, not the worse way. 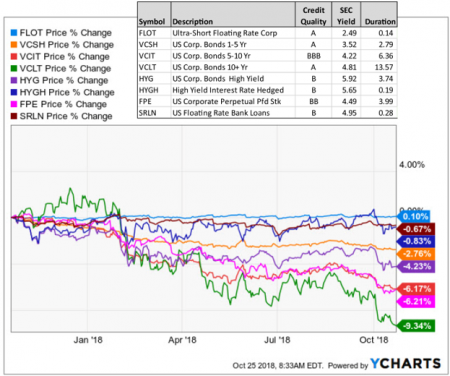 Let’s look at what 5 important thought leaders had to say about constructing a portfolio for the long-term (10+ years); and how their portfolio models are expected to perform over the next 10 years, based on asset returns, volatility and correlations according to JP Morgan Asset Management and Research Affiliates. For all portfolios, the expected returns are significantly below returns of the last several years. Here are mug shots of the 5 thought leaders. Their portfolio models in our approach, would be for the Broad Core sleeve. More income intensive securities would go into the Income Core sleeve of the portfolio. And, when, as and if it makes sense to make some tactical bets, we can add narrowly focused assets we believe will do particularly well in the Tactical Opportunity sleeve of the portfolio. This discussion is only about portfolio models for the Broad Core sleeve. David Swensen is the long-time CIO of the Yale endowment. He is acknowledged as one of the best at that job, if not the best. 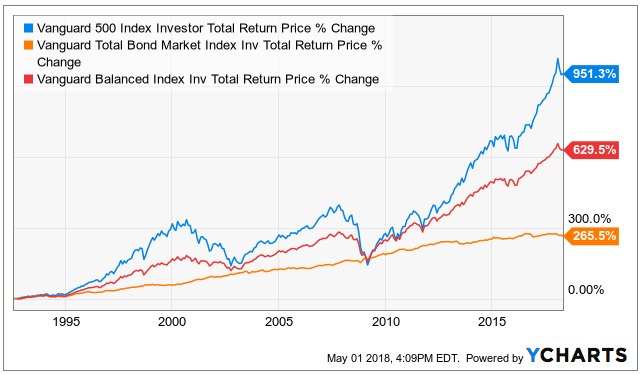 In 2005, he translated his 2000 book for institutional portfolio managers (“Pioneering Portfolio Management: An Unconventional Approach to Institutional Investment”) to one suitable for individual investors. In that book (“Unconventional Success: A Fundamental Approach to Personal Investment”), he described a “reference portfolio” for the long-term. He made it clear that adjustments are needed to fit the specific needs, goals, limitations and psychology of each investor; but that the reference portfolio is a good place to begin the thinking process about a suitable portfolio. In his reference portfolio he stresses the functions which must be provided (capital growth, inflation protection, deflation protection, and protection in times of crisis). He specified assets for the portfolio and how much of each function each asset provides. Ray Dalio is the founder and CEO of Bridgewater Associates, one of the oldest and largest private funds (about 40 years old and about $160 billion in assets). He wrote about his All Weather strategy in a white paper in January 2012. His fund has been very successful with the core All Weather portfolio model, and around which they make certain other tactical investments. 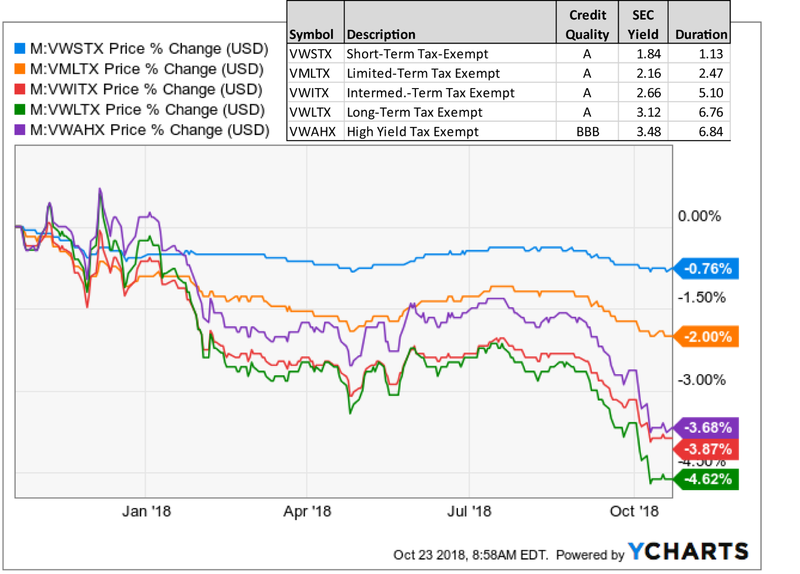 Their core portfolio is equally weighted to deal with 4 scenarios (rising corporate profits, falling corporate profits, rising interest rates, and falling interest rates). Then within each of those 4 segments of the All Weather portfolio, he specified suitable asset categories, which are then equal weighted for volatility (“risk parity”). Harry Browne (deceased) was an investment advisor and author, who in his 1999 book “Fail Safe Investing” was focused on limiting losses in a portfolio that would be profitable in any market, which he posited was best accomplished with equal amounts invested in stocks, long-term Treasuries, T-Bills and Gold. That was dubbed a “permanent” portfolio. John Bogle is the founder and former CEO of Vanguard. He virtually created the index mutual fund industry, launching the first ever index fund (dubbed “Bogle’s Folly”) on December 31, 1975, to track the S&P 500 index. He is a firm believer that no amount of effort can predict the future of markets, and that active management is not competitive with index funds over long periods. He recommends simply owning a broad index stock fund, such as one based on the S&P 500, and a broad bond index fund, such as one based on the aggregate US bond market. He is an advocate of a 60% stocks, 40% bonds allocation. 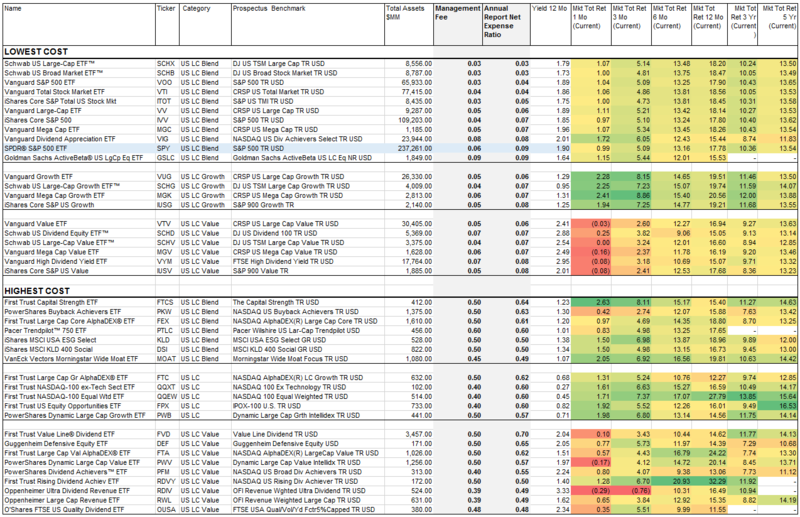 Using the 10-year forecasts for asset returns, volatilities and correlations published by JP Morgan Asset Management (optimistic) and by Research Affiliates (less optimistic), let’s see how the recommended portfolios from those 5 thought leaders would be expected to perform in the future. 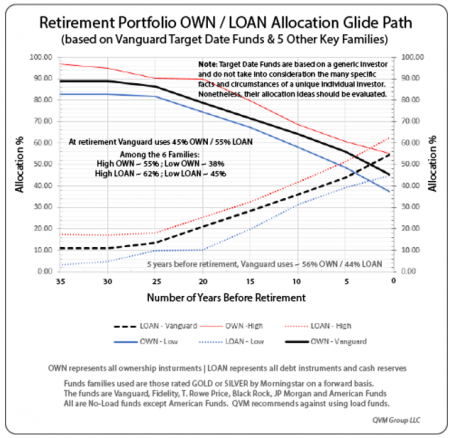 It is important to know that any single value projection of portfolio return is not a good idea. Because assets go up and down in price over time, it is more reasonable to think of future returns in terms of a probability range of return; with the most likely return near the middle of the distribution, and the increasingly less likely, but still possible returns spread out above and below the middle. That is how our first image is presented. The probability distribution is developed through Monte Carlo simulation. For each portfolio, the return probability distribution is represented by a box with whiskers. The line in the middle of the box is the 50th percentile return, which is equal to or near the mean expected return. Half of the probable returns expected to be higher than the 50th percentile, and half lower than that value. The entire box encompasses the middle 80% of probable returns (from the 10th to the 90th percentile). The whiskers extend out above and below the box so that the entire box and whiskers encompass 98% of probable returns (only 1% are expected to be higher, and only 1% are expected to be lower). Because of shocks and crises, the lower 1% could be a lot lower. For that, we present what could be thought of as a worst case (at least a very bad case) year, when the return is 3.5 standard deviations below the expected mean return. This chart is the main one we used to decide our spoiler alert at the beginning of this letter. The green colored boxes and whiskers are based on the more optimistic JP Morgan assumptions. The yellow colored boxes and whiskers are based on the less optimistic Research Affiliates assumptions. Note, that only the deeper green and deeper yellow colored boxes and whiskers have their 1st percentile above zero. If the bottom whisker is above zero, it means that the forecasts expects a 99% chance that at the end of 10-years, your portfolio will be worth more than at the beginning. 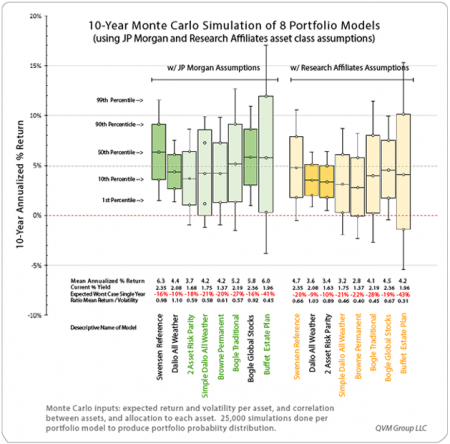 The portfolio models with the bottom whisker above zero when using JP Morgan assumptions are the Swensen Reference, Dalio All Weather, and Bogle 60/40 with global stocks. 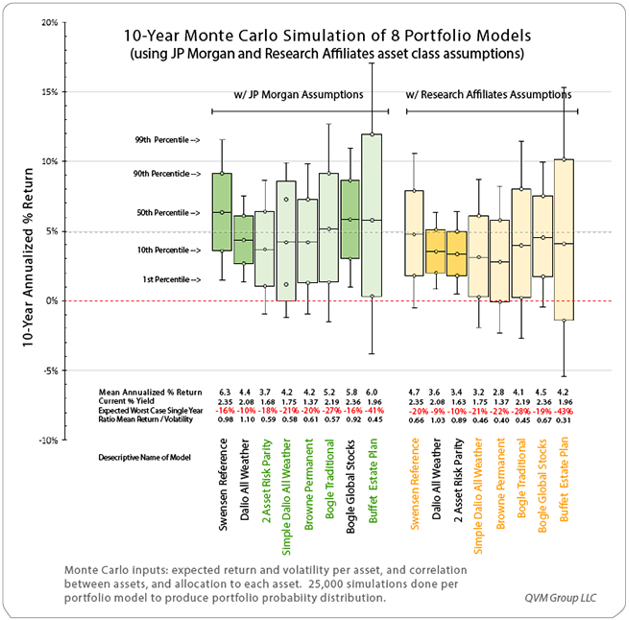 The models with 99% chance of a positive 10-year outcome when using the Research Affiliates assumptions are only the Dalio All Weather portfolio, and the Simple 2 Asset Risk Parity model (which uses the S&P 500 and intermediate-term Treasuries in a ratio that expects the same risk from each asset). The lighter colored boxes and whiskers have varying probabilities less than 99% that the portfolio will grow in value over 10 years. In fact, the simplified Dalio All Weather portfolio (published by Tony Robbins, based on his discussions with Dalio), has about a 10% chance after 10 years of being worth less than the starting value. 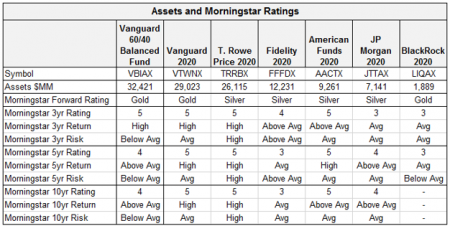 The Warren Buffet “estate plan” portfolio has by far and away the higher upside potential (because it is 90% stocks), but also something near a 10% chance of a cumulative negative return. 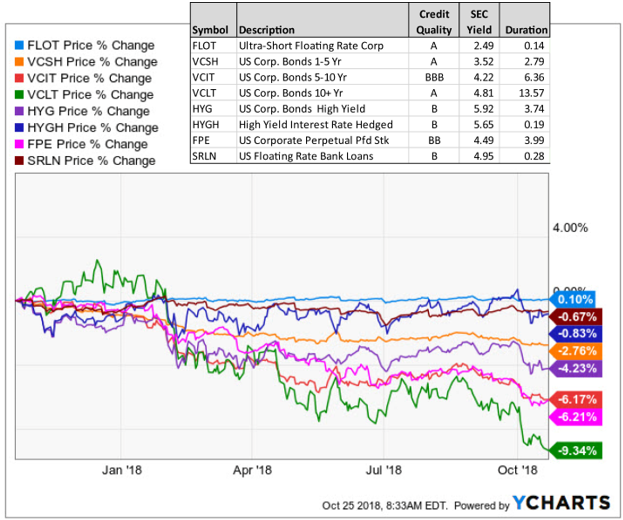 The best “worst case” year is with the Dalio All Weather portfolio with both the JP Morgan and Research Affiliates assumptions, but it has an unsatisfying most likely return below 5%. 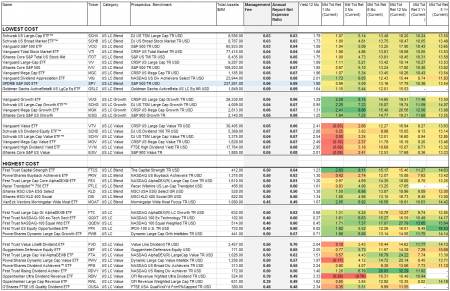 The highest most likely return is the Swensen Reference portfolio, which has a 99% chance of a positive 10-year return under JP Morgan assumptions, but has a small chance of a negative 10-year cumulative return with assumptions from Research Affiliates. The Bogle 60/40 with global stocks fares well under JP Morgan assumptions, but has a small chance of a negative 10-year return under Research Affiliates assumptions. 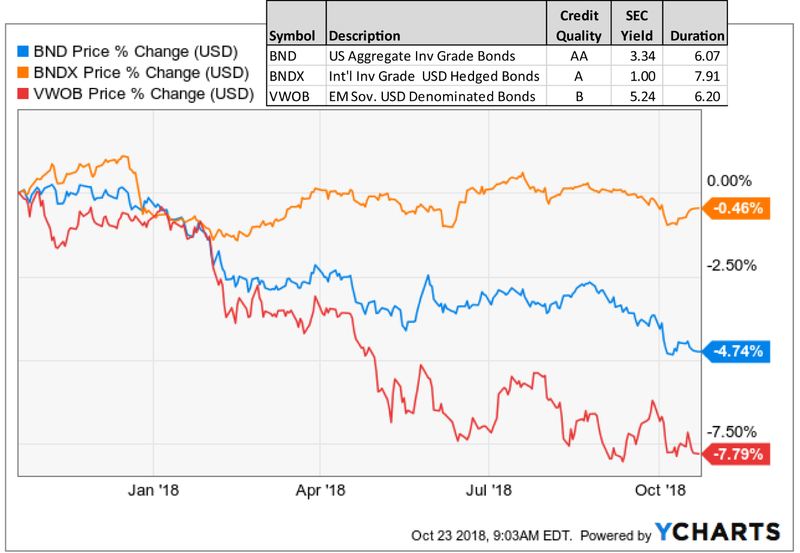 The Swensen portfolio and the Bogle portfolio have the highest current yield, which is somewhat of a hedge against the downside, at 2.35% and 2.36% respectively — essentially the same yield. Overall, for the more risk averse folks who can tolerate returns below 5%, the Dalio All Weather portfolio is attractive. 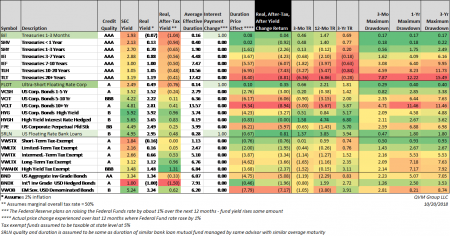 For those who require return of 5% or more, with limited risk of a 10-year negative return; the Swensen mode is attractive. The Bogle 60/40 with global stocks is a close runner-up to the Swensen model, but not quite as attractive based on the two sets of assumptions we used. The 90% stocks approach from Buffet is just fine if you very young and have more than 10-years for “time in the market” to work for you; or, you are wealthy enough to start, and would continue to be wealthy enough with no retirement lifestyle change even if you had a cumulative 5% annualized 10-year negative return. Otherwise, 90% in stocks may be a bit to aggressive for most investors over 50 to 55 years old, particularly at this time in the market cycle. negative returns in dark pink. 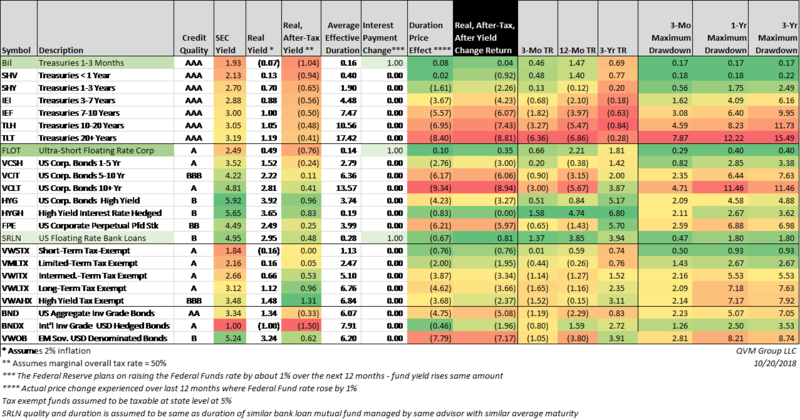 And here is yet one more way to use color coding to gain perspective on the relative merits and demerits of the portfolio models. All of the returns taken together are coded red, yellow or green on a sliding scale from lowest in red to highest in green. Now for the grand reveal. What is inside each of these portfolios? 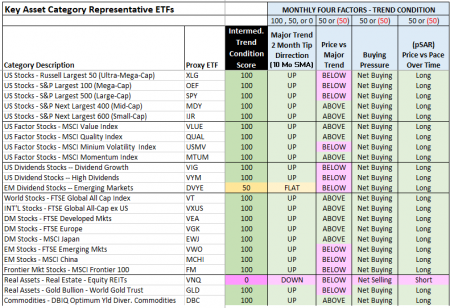 Focus on the category, not just the proxy ETF. We did the projection without any specific security in mind. The securities we show here as proxies are not the only ones that fit into those models, but they are representative of those that do. 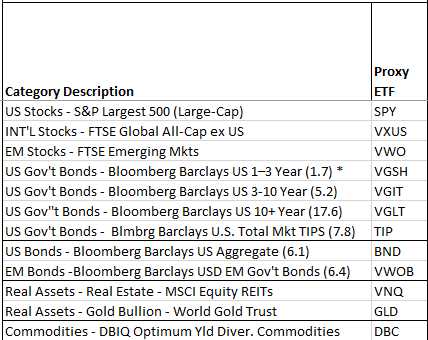 The ETFs used to label the allocation in this next table are simply short-hand to identify the asset classes from the table above. The numbers are all percentages. I’d to ask each of you to think about these projections for these model portfolios as general approaches, and tell me which appeal most and least to you as they relate to your Broad Core sleeve (as distinct from the Income Core sleeve and Tactical Opportunity sleeve of your portfolio) to see if we are still on the right track for your personal situation and needs. Looking forward to our discussion. I have received some calls asking whether and how to prepare portfolios for possible war with North Korea. Whether a war is likely is beyond my capacity to respond, but whether portfolios should be prepared for extreme market conditions resulting from any number of catastrophic situations is something on which I will comment. Let me state right out of the gate, preparing a portfolio for a generalized Black Swan or catastrophic event is prudent. We should all have a protective component of our portfolios, all of the time – more for the older of us and less for the younger of us, based in great part on the time horizon before calling on the portfolio for withdrawals. However, tailoring a portfolio against a specific catastrophic event is generally not prudent, unless you are dead certain it will happen. And in that case, everybody else is probably dead certain too, and the event would already be substantially priced into the market. So, while I can suggest a portfolio specifically tailored for a war between the USA and North Korea, I do not recommend implementing it. Such a portfolio would not represent your long-term strategy (which should include a protective component), and if that specific event did not materialize you could find yourself way off course. With that caveat, let’s think about what a portfolio specifically tailored for an anticipated war between the USA and North Korea. Don’t think me cold-hearted in discussing portfolio war preparation, because the tragic death of 100’s of thousands of people, including thousands of US troops stationed in South Korea would be horrific almost beyond imagination. According to former US Defense Secretary Cohen today, North Korea could lay waste to Seoul South Korea in about 1 minute from the 10,000 artillery pieces trained on that city at all times. But some of you asked about portfolios, not human tragedy. I am not inclined to plunge into portfolio war preparation, unless an individual should prevail upon me to do so, but I am prepared to say what portfolio might fare better in the event of such a war. • Treasury bonds (proxy: VGIT). Sell single stock Apple holdings (AAPL). Note, there may be significant non-recoverable tax costs to such a portfolio reconfiguration in regular taxable accounts. That would need to be evaluated in terms of each investor’s embedded gains, and how much of which assets are held in tax deferred or tax-exempt accounts, as well as other aspects of the investor’s general tax situation. Why sell Apple or reduce technology sector exposure? Because, South Korea (think Samsung) is a key part of the technology supply chain (including parts for iPhones). It could take a couple of years to build replacement chip foundries to supply the needed chips for Apple, unless they could find non-Asia suppliers. Think of the war a step farther out. China decides not to fight the USA on behalf of North Korea, but does decide the war is the perfect time to invade Taiwan to reclaim it. The USA might well be unprepared to defend Taiwan while fighting North Korea, and might accept the invasion of Taiwan in exchange for China not involving itself in the North Korea conflict. Such an invasion could further damage the technology supply chain. Then, of course, Vladimir might decide to take the rest of the Ukraine or some other land grab, which would be very hard on the Europe stock markets. What happens after the early war stages is unknowable, but as past wars have shown, the world rebuilds, and capital continues to work. So be prepared to restore equity allocation once hostilities are clearly over and stock markets begin to recover. There would, of course, be no option to do those things to the portfolio once a shooting war opened up, as the pricing adjustments would be near instantaneous. For myself, I am not making such drastic single scenario preparations, but rather holding some level of generally protective assets along with a diversified global equity exposure. That is what I suggest to you. This is a quite unpleasant topic to contemplate, but to make sure we’re always thinking, this is what we can fathom at the moment, as preparation for first order effects. Where second and third order effects go, is beyond pure speculation.